Join HoCoPoLitSo for a coffeehouse afternoon of poetry and music, flavored with a bit of Zydeco as a warm-up for Mardi Gras. Baltimore poet and Little Patuxent Review editor Steven Leyva reads from his work, centered around his tuneful hometown of New Orleans. He will be accompanied by drummer Josh Soto on congas and drum set. Coffee and snacks will be served before and during the performance, and a question and answer session follows. In Créole the word Zydeco could translate to “Green Beans,” but colloquially a better approximation would be “Beans with no salt,” which is a sly way of expressing hard times. The reciprocal movement between lack and plenty, famine and feast, often inspires innovation in literature and music, making the borders of genres porous. Using improvisation, audience participation and a bit of luck, Leyva and Soto seek to carve out a space in the ear and imagination where hard times breed a new music for the heart, and percussion becomes the poet’s blank page. This event is presented by HoCoPoLitSo in partnership with the Columbia Festival of the Arts winter performance series, “Beyond the Blues.” Join us for Poetry and Percussion at 4 p.m. on Saturday, Feb. 6, 2016, at the Kittleman Room on the campus of Howard Community College. A book signing and reception will follow. Tickets are $15 general admission and $10 for students and seniors. They are available online through Brown Paper Tickets. 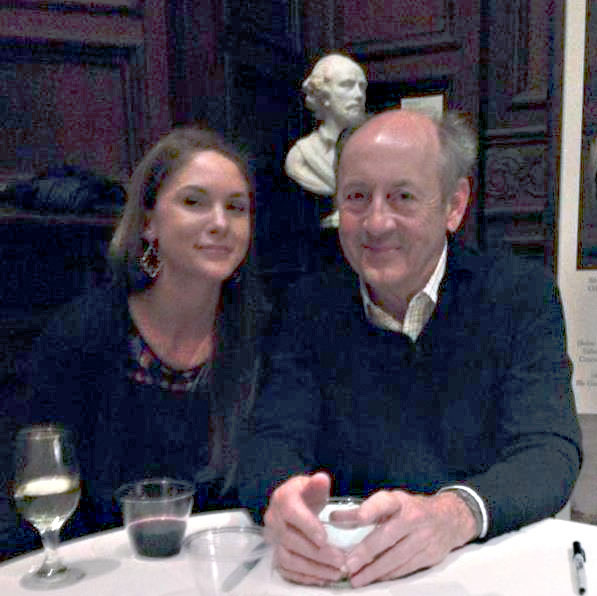 HCC student, aspiring writer and newborn poetry fanatic Katy Day meets Billy Collins at the The Folger Shakespeare Library in Washington DC. As I scurried through the halls of Duncan Hall at Howard Community College, on my way to Introduction to Creative Writing, I ignored the framed student poetry scattered throughout its walls, all the way up to class. After all, how good could a student’s poem be, especially to someone like me who didn’t even like poetry? In class, I was already envisioning my name sprawled across a half dozen book covers in large font as my professor, Ryna May, informed the class that we would all be required to submit a piece of our writing to the school’s literary and arts magazine, The Muse. I loved my Creative Writing class even more than I had anticipated. Each week I put more hours of work into my short stories than I did for any of my other three classes. Combined. I dreaded, however, the two weeks Professor May had dedicated to poetry. How would I be able to get through two entire weeks without writing a single story? More importantly, how would I be able to write poetry if I couldn’t even understand it? I don’t think I was the only person in the class with these concerns and Professor May was already on top of that. She gave us all copies of the previous edition of The Muse and asked us to find a poem that we liked. I read through all of them and was shocked by how much I actually liked some of them. I realized it wasn’t that couldn’t understand poetry; I just hadn’t come into contact with it at any point during my adult life. I was blown away by the seemingly endless possibilities offered by a single page of words. I didn’t have a favorite. I had a list. May showed us videos of current poets like Billy Collins and Taylor Mali; genius on her part. I will never be able to thank her enough for that. She sat back as we watched, casting her line out into the sea of non-poetry believers and patiently waited. She didn’t give us an opportunity to ignore poetry. She captivated us through sight, sound and pleasure as we all soaked in these universal, current poets. So this is what poetry is today, I thought. By the end of the videos, we were all swarming around the bait, snapping wildly at it. She had us hooked. Of course, once the door to poetry is opened, there are endless other doors and hallways to get lost in. Like a mouse venturing through the walls of an old colonial house for the first time, many paths in poetry can lead to a dead end. People are easily scared off by it, but May was always there, pointing us in a promising direction. At the end of the course, she encouraged me to submit my work to The Muse. After waiting three excruciatingly long months, I finally heard that they’d be publishing one of my short stories and one of my poems. I was ecstatic. Professor May also invited me to read a poem at the Blackbird Poetry Festival, an event organized by both Howard Community College and HoCoPoLitSo. At the festival, I knew that a lot of students were being exposed to poetry in their adult lives for the first time, and I loved being a part of that. I was nervous, of course. Who wouldn’t be nervous doing their first poetry reading in front of their teachers, classmates, their mother, and RIVES, who was front and center, chanting my name as I walked to the podium. Despite the fact that I was trembling with fear on the inside, I made it through the reading and was immediately praised by Tim Singleton, Board Co-Chair of HoCoPoLitSo, who announced after my performance that he liked it so much he would have liked to hear it twice. Professor May said I did great and assured me that I didn’t look nervous at all. One student told me after the event that my poem was his favorite. Rives even said that he loved my poem and I had excellent stage presence. Reading my poetry was like a rollercoaster ride. I was scared out of my mind but so high off of the adrenaline afterwards that I couldn’t wait to do it again. Luckily I didn’t have to wait long because The Muse reading was only a couple of weeks later. That was a whole different experience of elation, as I picked up the first publication that contained my own work. I can’t express how lovely instructing the audience to turn to page 47 in their book to find MY POEM felt. Howard Community College didn’t just introduce me to poetry. It provided me with all of the assurance and reassurance I needed as a writer. It gave me door-opening experiences that have fueled me to continue my journey as a poet. The dedicated and passionate English Literature professors gave me an outstanding jumpstart into poetry. Now when I’m strolling around in Duncan Hall and I come to a framed poem on the wall, I take a few moments to read it, and I’m always pleasantly surprised. One day, I am in class alone with one of my students because her classmates are on a field trip. She has been a member of a poetry workshop that has been in place for five years at Homewood Center, Howard County’s only alternative school. It was organized by our media center specialist, inaugurated by poet Truth Thomas, and made possible from the Horizon Foundation’s contribution. On this day, the student asks if I would listen to a poem she has been working on. I said I would and she began to read a plaintive poem about her scarred relationship with her mother. While she is reading, a second student enters the room and asks what is going on. Before I can answer, she joins us and says “This is a poem!” and starts to cry as she realizes it’s about a mother-daughter relationship. She states that she wants to say some things to her own mother (with whom she has never lived) but does not know how she would do it. After hearing her classmate’s poem, she wants to try it in a poem. With excitement in her voice, she asks if I would review it once she has completed the first draft. She is completely animated. 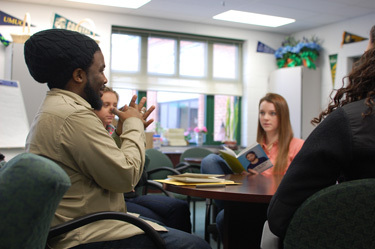 This is yet one more story of how poetry, serving as a vehicle to work through complex issues, is positively affecting the lives of students at our school. Oh, I failed to mention that both girls are in my geometry class, not an English class. Read a poem. Out loud. Feel it the sound of it move through you and into the air. Watch and listen to Billy Collins’ Ted Talk. Practice the math of counting syllables by writing a 5-7-5 haiku. Follow HoCoPoLitSo on Facebook. And Twitter. Stop by the library on the way home and borrow a volume of poetry. Read the latest issue of Little Patuxent Review. Tweet some poetically purple prose. Retweet someone else’s. Email a friend a favorite poem. Print out a poem and put it on a bulletin board for others to see. Watch a poet on YouTube. Bilingual? Have a go at translating a poem. Not? Try the exercise with a friend that has a second language. Write a love poem, just for fun. Share it with the intended. Subscribe to Poets.org’s Poem a Day email. 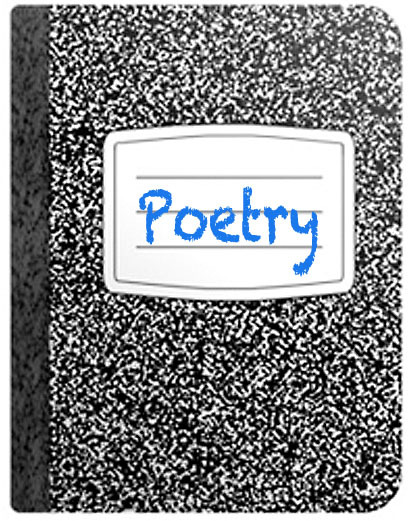 Make a comment on a Poetry Blog. Find a soon to be significant other and read Neruda’s 20 Love Poems and a Song of Despair to each other. Read a poem out loud to someone else. Go to a poetry reading at a coffee house. If it is an open mic, share your own work. Jot down an ode to something ordinary in your life. Buy tickets for yourself and a friend to the Nightbird Reading, featuring Kim Addonizio, Michael Cirelli, Nayma Ayala, and Mother Ruckus. After the evening reading, post on the HoCoPoLitSo page about your experience. Support a poet, buy their book. Now really support them: read it. Celebrate National Poem in You Pocket Day, April 26th, by carrying a poem in your pocket and sharing it with others. Take on Poets.org’s list of 30 things to do for National Poetry Month. Tweet about poetry. If it’s Friday, tell your followers to #ff @hocopolitso. Memorize a poem and carry it around inside you. Let it out again and again when the occasion warrants. Watch an episode (or two) of HoCoPoLitSo’s The Writing Life on YouTube. Tell a poet what their work means to you. They’d love to hear. Face to face, in email, in a good old fashioned card. Encourage someone else to join you in taking on this list. After all, poetry is a thing best shared with others.